I am selling my Nikon D5200 camera body along with other accessories. 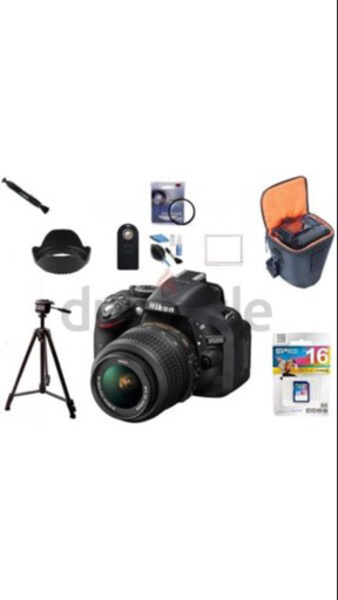 Package/price includes: 1- Body of Nikon D5200 (lens excluded). Excellent condition and minimal usage. 2- 16GB SD. 3- Brand new Camera Case. 4- Brand new UV Filter to fit 18-55VR lens. 5- Screen Cover. 6- Brand new Cleaning Kit. 7- Brand new Lenspen. 8- Brand new Lens Hood. 9- Original box.